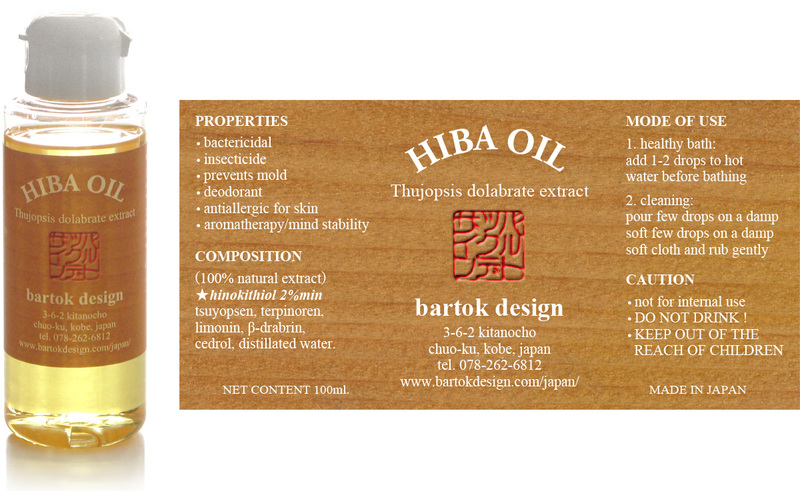 Aomori Hiba wood aroma oil | Bartok design Co. Aomori Hiba wood aroma oil – Bartok design Co.
Japanese do not usually apply any oil on a wooden tub, but if you want, you can use hiba oil as a wood tub cleaner/conditioner. Asnaro-Hiba oil has wonderful properties and will clean, rejuvanite and preserve your tub. 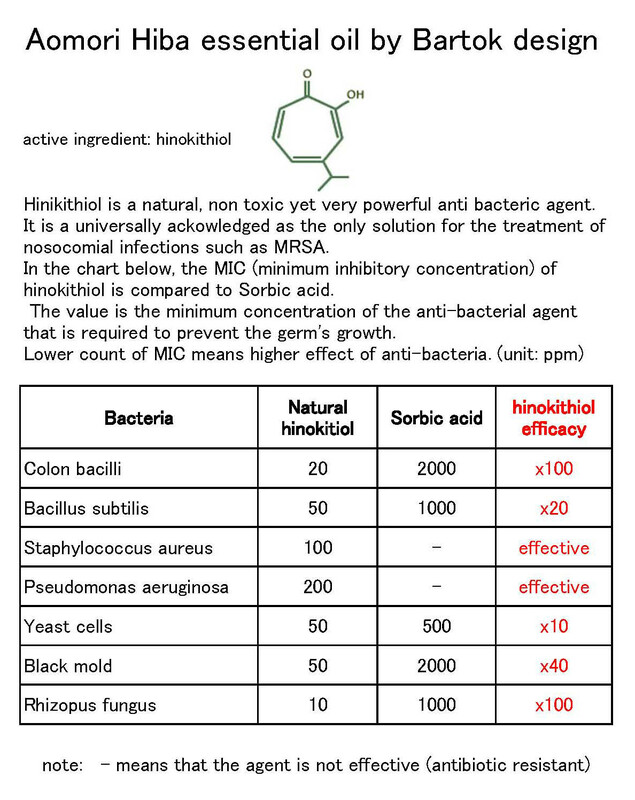 Asnaro contains more hinokitiol than hinoki wood. 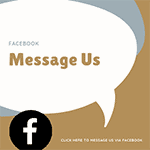 skin care (eczema, nosocomial infections such as methicillin-resistant Staphylococcus aureus. Available in 100ml bottles at 4800 JPY per piece. Some discount is available for larger lots. Please inquire.